First, think well in advance, where do you want to hang your picture. It is also important, whether you will hang one solo picture or a cluster of them next to each other. In any case, measure your wall first and then mark the desired layout of pictures on a paper (or mark it with a pencil directly on the wall). Remember to hang your pictures at eye level – you do not want to look up at them all the time. If you can get an assistant, ask him/her to help you out and hold the picture while you take a look, whether the picture at that desired height looks good. 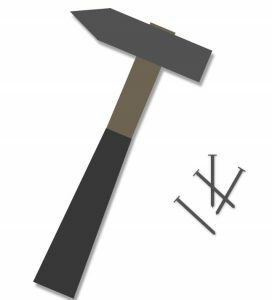 To hang a picture at the wall using hammer and nails is the oldest and the most frequent way to do so. If you are skilled with a hammer and you want to make sure that picture will stay in place properly, choose this option. However, if you want to hang a big and heavy image, the small nail won’t be enough. If this is the case, use an anchor instead – it will make sure that the nail can hold even several-kilograms-heavy picture without problems. 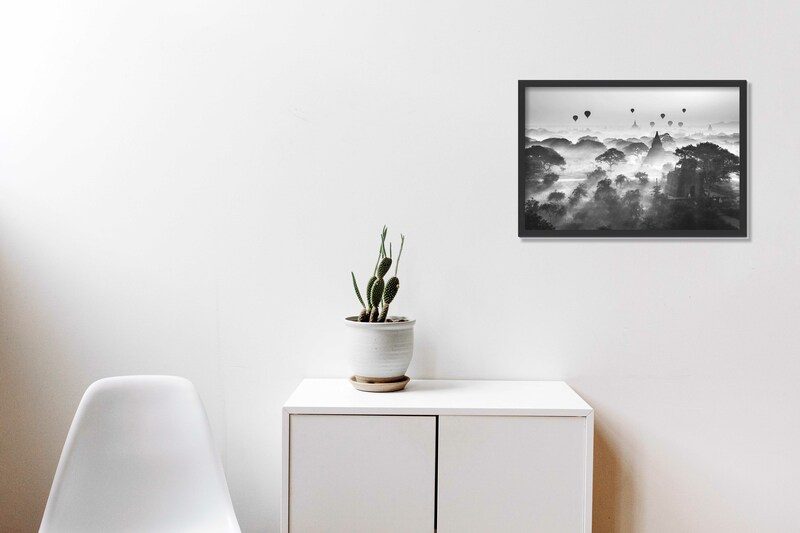 If you want to hang rather small and light pictures or you just don’t want to punch a hole into the wall, adhesive hooks may be the right choice for you. First, you can pick self-adhesive hooks: just remove the cover and place them directly on the wall. Another option could be the hooks, where you first have to heat them up and then stick them on the wall. The final effect is the same, it’s just on you which option you prefer. In case your picture already has hooks on the back side. You will only need a strip and picture hanging strings or straps. Fixate wooden or metal strip on the wall and just hang your picture using strings, that go through those hooks on the back side of it. If you already know where to hang your picture, try to mark its vertical center line using a meter. Draw a visible mark in the place where you want to hammer the nail. Don’t worry about the wall, you can easily delete the mark with an eraser. Now go and take your hammer and nails, drill-machine and screws or adhesive hooks and fixate the picture on the place you previously marked. Afraid that your wall might get cracks while hammering the nail? Use sticky tape and form a cross using 2 layers – this way the wall will be protected better. In case you opt for screws, pre-drill a small hole first and then drill in the screw itself. Hang a picture on the wall and make sure it is correctly attached and stays in its place. Also, check whether it hangs straight and just then let go of it. To be double sure your picture is truly straight, use your spirit level – if the bubble stays in the centre, you made it! 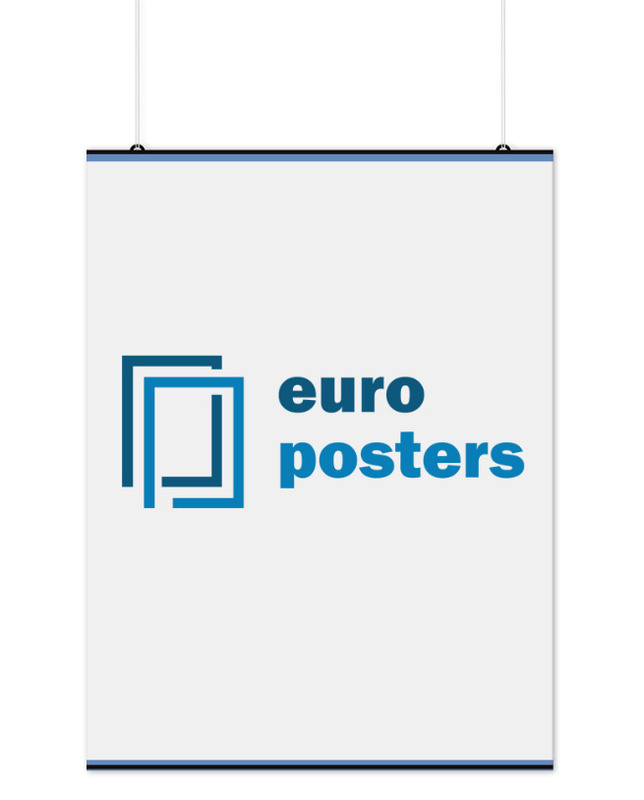 PLASTIC FRAMES FOR POSTERS | EUROPOSTERS from EUROPOSTERS on Vimeo. Now you should be an expert in the picture hanging business. We wish you good luck!